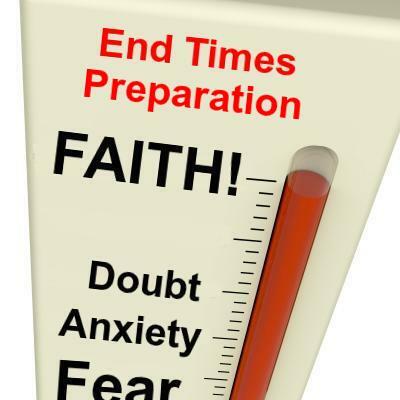 The most effective way to prepare for the end times is having the faith to 1- rely on God Almighty; and, 2- still the chattering monkey in one’s mind that springs from the incessant bleating of the media prepper shills. IF one stumbles into the snare of relying on one’s own preparedness and the things of this world: this not only demonstrates the foolishness of relying on one’s self; it also demonstrates a lack of one’s faith in God Almighty. Make no mistake: one DOES need to prepare for the end times. BUT, one cannot prepare physically for such events: one can only prepare spiritually through a love of the truth and faith in Jesus Christ. There ARE effective methods of preparing for the end times. NONE of those methods have anything to do with storing up physical items in an attempt to overcome what is coming to pass in the last days. The one who believes he can physically prepare for the end times is, in effect, saying he can outsmart God Almighty. The end times events outlined in the Bible happen for very specific reasons. One of those reasons is that God is separating the world into the few who walk the walk AND the many who talk the talk. The wise reader should remember: effective end times preparation Has NOTHING to do with making lists or storing the things of the world.